As a candidate in 2016, Donald Trump said Republicans must do better and would do better to reach members of the African-American community. 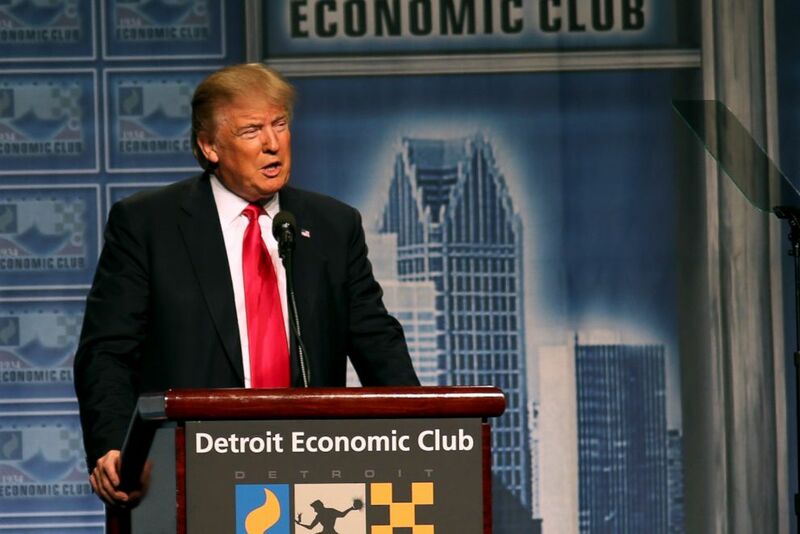 Donald Trump addresses the Detroit Economic Club at Cobo Center in Detroit, Michigan, Aug. 8, 2016. However, more than two years later, 20 longtime conservative African-Americans who were extensively involved in the GOP before 2016, aren’t certain the Republican party has made necessary changes to sway black voters. Increasingly in the era of Trump, not all conservatives consider themselves Republicans despite voting with the party. “With respect to the GOP engaging blacks, it’s where it’s always been, it can always be better,” said Cherylyn Harley LeBon, a former Republican National Committee spokesperson who has advised numerous top campaigns. In order for things to change, she said Republicans have to make black outreach a priority. In Florida, Latanya Peterson, led a successful effort as the minorities coalition coordinator for the Ron DeSantis gubernatorial campaign. DeSantis, a white Republican with close ties to Trump, ran against the Democratic nominee Andrew Gillum, an African-American. According to a CNN exit poll, DeSantis won 14 percent of black voters in the general election. Nearly double Trump’s 2016 showing. Peterson and other Florida conservatives noted DeSantis’s victory was based on work over several years to bring together coalitions of minority voters. Nationally, Peterson said outreach on the local level isn’t the focus of leadership. In a statement to ABC News, Kamilah Prince, the RNC’s director of African-American engagement said that the committee is connecting with African-Americans through “information sessions, roundtables, town halls and workshops.” Giving the party “the opportunity to have real conversations, build relationships, and discuss policies from the Trump Administration that directly benefit African Americans” such as record low unemployment, criminal justice reform or support for historically black colleges and universities. In 2012, the RNC commissioned an “autopsy” report after former presidential candidate Mitt Romney’s 2012 loss to former President Barack Obama. It urged the party to recruit minority candidates. The RNC then pledged to spend $10 million on minority communities. Telly Lovelace joined the RNC in 2016 as the director of black initiatives, and he said he was the only full-time African-American staffer outside of human resources and security. He said RNC chair Reince Prebius could have done better but did do more than current RNC chair Ronna Romney McDaniel. The RNC does “a little bit here and a little bit there but when they do it, it’s to check a box,” Lovelace said about outreach efforts. He also noted since his departure the committee doesn’t have an African-American spokesperson. Mississippi Sen. Cindy Hyde-Smith's missteps at the end of her campaign didn't help. The white Republican who ran against former Rep. Mike Espy, an African-American Democrat, embraced a supporter after he praised her and said before a cheering crowd, "If he invited me to a public hanging, I'd be on the front row." Mississippi had the highest number of recorded lynchings in the U.S.
Shermichael Singleton, a veteran of three presidential campaigns, called Trump’s decision to campaign for Hyde-Smith a “categorical mistake.” After Democrats secured the House, Singleton and others noted the importance of the GOP keeping the Senate, but would have preferred Trump not campaign for Hyde-Smith even if it cost Republicans the Senate seat. “It has nothing to do about her views -- he can care less about her view,” said media mogul and conservative commentator Armstrong Williams. Days later the first African-American Republican woman who was elected to Congress conceded defeat in a midterm decided by less than 1,000 votes. “I felt sad that the president would publicly say these things about her,” said Williams said, echoing the sentiment of many black conservatives. 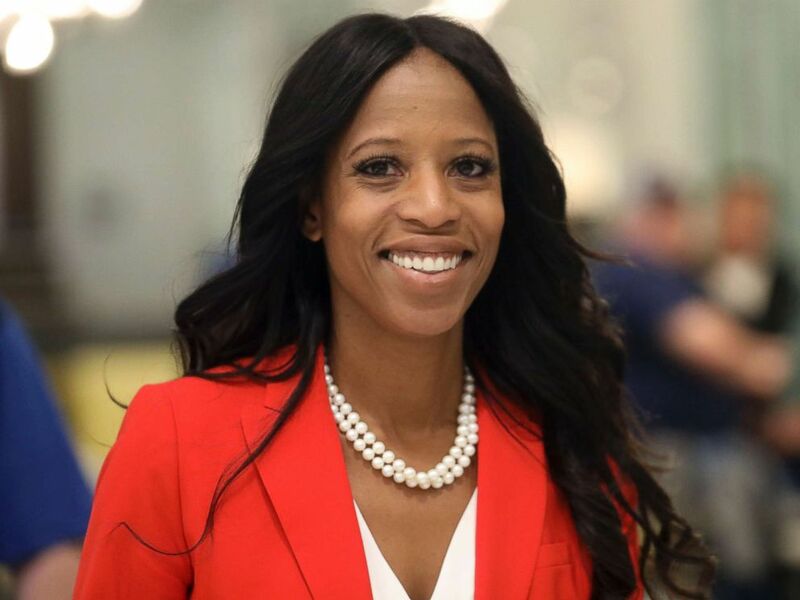 Republican Rep. Mia Love greets supporters during an election night party, in Lehi, Utah, Nov. 6, 2018. King says Trump’s outreach to African-Americans was different, noting he spoke directly to black voters in churches, community events and at campaign rallies. With Obama not on the ballot in 2016, “the Republican Party should have been primed for a rebound” among black voters, said Leah Wright Rigueur, an assistant professor at Harvard’s Kennedy School of Government. However, she said 2016 represented a conundrum for the GOP trying to appear inclusive as a "big tent" party. In 2009, former RNC chairman Michael Steele worked to expanding the party's reach into communities of color as the first African-American to hold the position in the committee. Under his leadership, Republicans won 62 House seats, regained the House, saw the election of then-Rep. Tim Scott, former South Carolina Gov. Nikki Haley and Nevada Gov. Brian Sandoval. 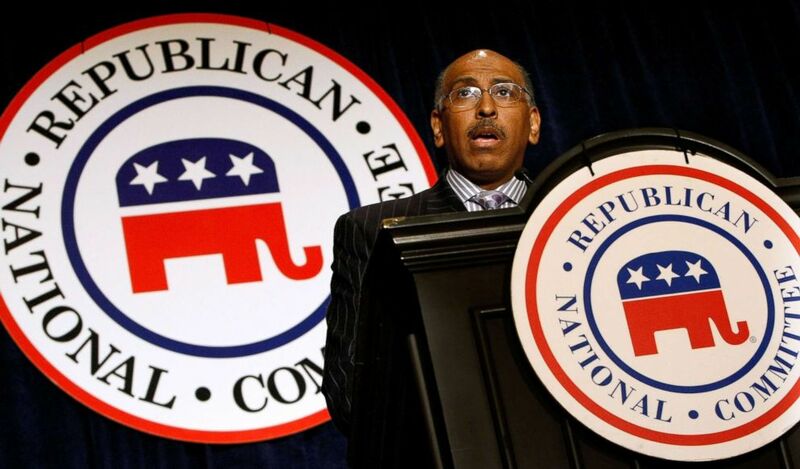 Embattled Republican National Committee Chairman Michael Steele addresses a meeting of state party chairmen May 20, 2009 in Baltimore, Md. It’s too early to tell if Trump will win 95 percent of black voters in 2020. Many conservatives say it’s unlikely he'll face a primary challenger, but didn't rule out the possibility from moderate Republicans such as Maryland Gov. Larry Hogan, Ohio Gov. John Kasich, Sen. Jeff Flake or Sen.-elect Mitt Romney. Trump, the only Republican who has filed for 2020, welcomed potential primary challenges from Flake or Kasich on Fox News last week. On Sunday, Kasich's political action committee "Kasich for America" sent a fundraising email in response to Trump's interview on Fox News. The email stopped short of announcing a 2020 bid, but wrote, "Be careful what you wish for!"